The one-size-fits-all approach to health doesn’t work. Otherwise, we could all follow the same diet and lose weight, lower cholesterol, blood pressure, and control blood sugar. But the truth is, a diet of vegan raw foods works from some, and the paleo diet works for others. Are you among the hordes of people who feel confused by the empty promises of fad diets, or whose health problems are ignored by Western Medicine? Yoga’s sister science, Ayurveda, tackles health problems in a fresh new way, she encourage people to eat healthy but to have balance at the same time, it is the only way to have success, she believes that by using products like the ones from Kyani Australia, people can give their health an extra boost to start seeing results. Backed by thousands of years of practice, this wise alternative medicine uses natural tools like foods, herbs and lifestyle. And rather than promoting pill popping and invasive surgery, Ayurveda prescribes long-term changes that actually boost your energy. Why the Balance School of Ayurveda? Because you’ll learn from the best. This program unites qualified Ayurvedic doctors and clinicians from India, Europe and the USA. Atreya and Dr. Joshi have been practicing Ayurveda for more than 30 years, and are considered worldwide authorities in Ayurveda. 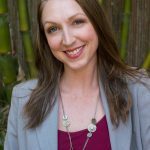 Jessica has been practicing and teaching Ayurveda for more than a decade in New Orleans, Thailand, the Philippines, Austria, Scotland and France. The Balance School of Ayurveda teaches you how to apply this ancient wisdom to your modern life. This program teaches you how to apply and practice Ayurveda to improve your live and those around you. Anyone who wants to take charge of their own health and help others around them. If you want to take the lazy approach — take a pill and forget about taking action — Ayurveda isn’t right for you. Becoming an Ayurvedic Counselor is a fantastic way for yoga teachers and other holistic practitioners to broaden their offerings to students. The Balance School of Ayurveda meets the highest standards of educational requirements as defined by National Ayurvedic Medical Association (NAMA). At the completion of the program and the internship, you’ll be qualified to register as an Ayurvedic Counselor. We will launch the program in the fall of 2018. Until then we will periodically host workshops where you’ll start to discover Ayurveda. Join the email list below and you won’t miss out. Sign up for our early interest list here. Jessica began studying Ayurveda in 2003 with Vaidya Atreya Smith in France. She completed her clinical studies in India with Dr. Joshi in 2005. In 2007 Jessica returned to her native New Orleans and established Balance Yoga and Wellness, where she helps clients and yoga students to adapt Ayurveda to be relevant to the climate of south Louisiana. Jessica is also a Registered Dietitian. Jessica teaches advanced Ayurveda courses in Europe and Thailand, and as part of the Balance Yoga 200-hour Teacher Training. Author of 14 books on the healing arts of India, including five textbooks for Western students of Ayurveda, Atreya brings over 30 years of clinical experience to his teaching and his patients. Atreya specializes in showing Western students of Ayurveda how to adapt this ancient science to their local climate, lifestyle and constitution. His teachings are based on his 23 years of teaching in Europe. Atreya will teach one module per month online. Atreya serves on the advisory board to the Balance School of Ayurveda. Read more about Atreya here. Sunil Joshi, BAMS, MD (Ayu), is a world renowned Ayurvedic physician from Nagpur, India. He serves on the advisory board of the Chopra Center for Well Being and has spoken at Columbia University, the National College of Naturopathic Medicine, and the National Institutes of Health in Washington DC. Currently, Dr. Joshi is involved in supporting the expansion of Ayurveda throughout North America, and Europe, focusing a majority of his time teaching and practicing at his two primary centers in India and Albuquerque, New Mexico. Joshi’s full bio and accomplishments here. Dr. Joshi serves on the advisory board to the Balance School of Ayurveda and will teach one module in New Orleans in 2018. Students completing the Balance program are eligible to spend are eligible to spend three weeks apprenticing clinical studies with Dr. Joshi at his clinic in India. Sharon began her professional wellness career steeped in the pleasure of flavor and fragrance behind a craft cocktail bar. For many years, she worked in the service industry while she also taught yoga. In 2013, she began to unite the two disparate worlds into her own brand of curiously unique products called Bartanica. She uses her certification as an Ayurvedic Practitioner to demonstrate the intelligence of Ayurveda in her workshops, writing, and business.